Based on a his buddy Sean Hicks’ 2D artwork, 3D artist George Crudo built a caricature model of the Nintendo legend, then had it 3D-printed and painted so it could blend in with actual Amiibo. 3D model of the sketch, with added Amiibo base. The final product alongside other Amiibo for scale. 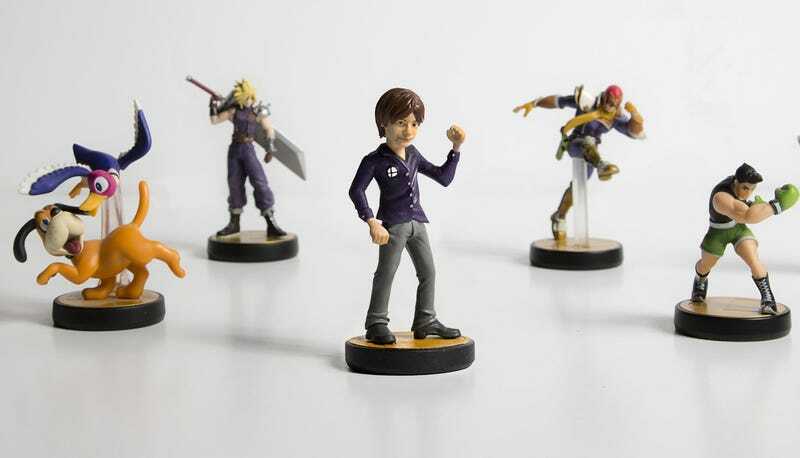 Last year, we saw a similar effort when GandaKris made an Amiibo tribute to former Nintendo boss Satoru Iwata.